How about a holiday warm me up? 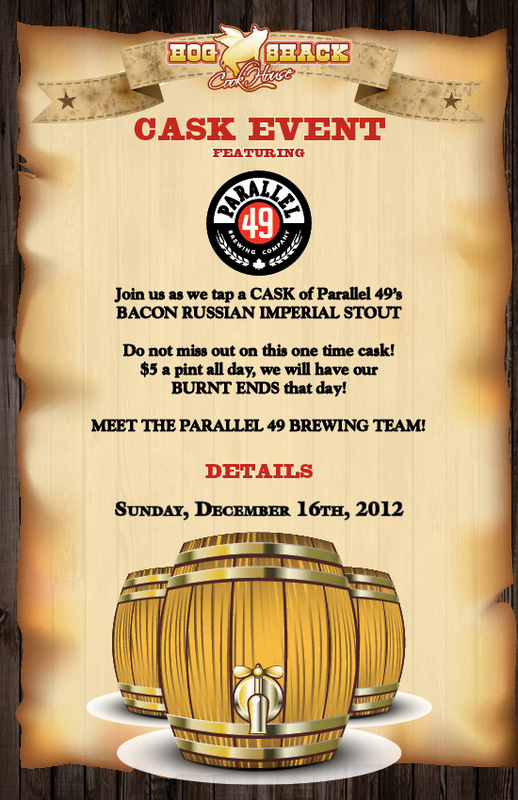 Hog Shack has teamed up with the very awesome guys at Parallel 49 for a one time brew of a Bacon infused Russian Imperial Stout. If you haven’t tried Parallel 49’s brews yet, get out there and get some! We’re excited to work with these guys!